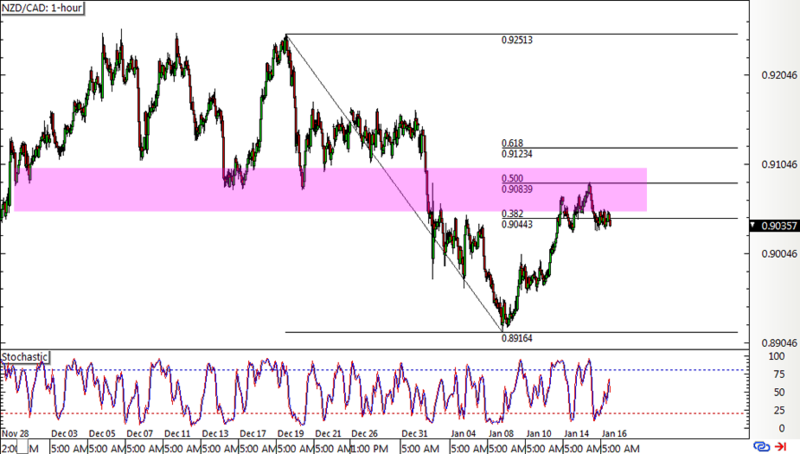 I’m seeing a neat pullback entry on the short-term time frame of NZD/CAD. Is it time for me to join the downtrend here? In my initial trade idea, I was watching a bearish divergence right at the very top of a daily descending channel. I wasn’t too keen about hopping in at market then, though, and I think I’d be more comfortable waiting for a retracement. Stochastic is still treading higher, though, so there may still be some bullish pressure left. In that case, a larger correction to the 61.8% Fib might still be possible. If this area of interest or support-turned-resistance at the 50% level keeps holding as a ceiling, price could be ready to resume the slide at least until the swing low. Sustained bearish pressure, of course, could drag it all the way down to the bottom of the daily channel I had my eye on. But wait! Time to check if fundamentals line up first! So far, it looks like crude oil is enjoying some upside as a combination of the OPEC output deal in force and expectations of stimulus from China are simultaneously weighing on supply and lifting demand. From what I recall in my Economics 101 class, these should prop prices higher. However, I can’t help but worry that fiscal stimulus from China might also boost risk appetite enough to let the Kiwi outshine its forex peers. What do you guys think? I’m considering shorting at current levels, with a stop past the highest Fib and a target at the mid-channel area of interest on the daily time frame. I’m also planning on adjusting my stop to entry once price tests the swing low. For my first trade idea for 2019, I’m looking at this long-term descending channel resistance on NZD/CAD ahead of the BOC decision.